The employee approaches boxes in a warehouse. Beret one of them. The employee in a shot it is visible minimum. 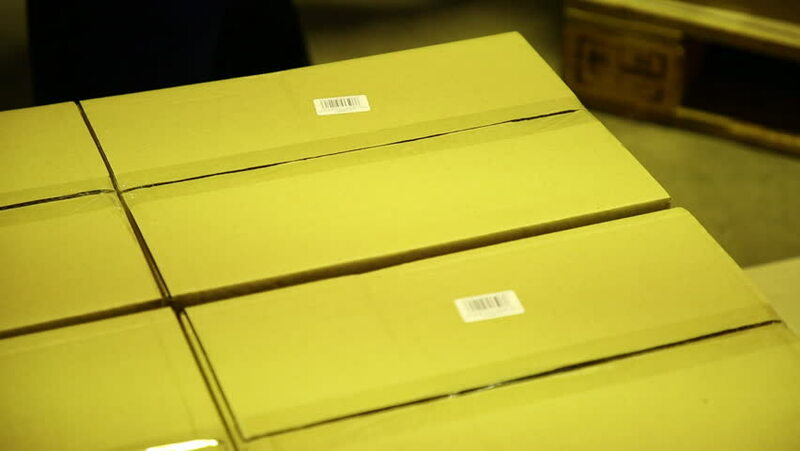 Boxes of gray color. Close up. 4k00:05Closeup Charging Battery Symbol Blinking and Recharging on Mobile Screen. Seamless Loop. hd00:231960s: UNITED STATES: business man looks at job application forms. Close up of eyes and glasses. Face and glasses in mirror.